A skull fracture otherwise, known as cranial fracture, is one of the cranial injuries that an infant could suffer during trauma at birth. 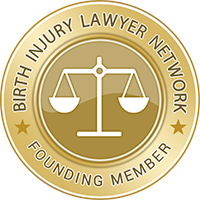 It happens when part of an infant’s skull is broken due to forces of labor and delivery. The skull, which is made up of small bones connected to each other, protects the brain from injury and supports the structures of the face. The bones that make up the skull are known as the frontal, parietal, temporal, occipital, sphenoid, and ethmoid bones. A fracture to the skull could also affect the brain and its outer lining, spine, and spinal cord. The pressure exerted on the infant’s head as it passes through the birth canal is one of the causes of skull fractures, especially during a traumatic delivery. Another is when the mother’s pelvic bony structures compress the infant’s skull. Aside from narrow pelvic passages, assistive delivery devices such as forceps and vacuum extractors can also lead to skull fractures during birth. There are three types of skull fractures that can happen during delivery. These are linear, depressed and occipital osteodiastasis. A linear skull fracture is a break which resembles a thin line that appears on the cranial bone. This break is not splintered and does not result in depression or distortion of the bone. It commonly affects the parietal bone, but could also happen in the frontal and occipital bones. This kind of fracture is sometimes associated with cephalohaematoma wherein the swelling of the infant’s head is caused by the hemorrhaging of blood between the skull and the periosteum when the blood vessels crossing the periosteum get ruptured. This kind of skull fracture is often caused by instrumental delivery such as vacuum extraction. As the blood can relocate through the broken bone between the epidural and periosteal spaces, a CT scan should be obtained to rule out epidural hematoma. With proper care and management, a linear skull fracture should heal within 4-6 weeks. Follow-up check-ups are required to rule out a more serious skull fracture. A depressed skull fracture occurs when the infant’s skull is crushed inwards toward the brain and forms a depression. This is caused mainly by the compression of the head against the sacral prominences during labor. A simple depressed skull fracture is usually treated by surgically elevating the depressed bone mainly for cosmetic purposes. This treatment may also be required to correct underlying pathological damage and to help with the prevention of seizures, and the improvement of focal neurological signs. For asymptomatic infants, it may not be necessary to conduct a surgical elevation as this kind of fracture often improves and elevates spontaneously. However, for infants with symptomatic cases wherein there are bone fragments in the cerebrum, neurological deficits or associated dural tear with leakage of cerebrospinal fluid beneath the galea, a surgical intervention will be needed. The infant should undergo CT imaging to rule out an associated intracranial hemorrhage. Occipital Osteodiastasis is a rare complication during cephalic delivery. It is associated with posterior fossa subdural hemorrhaging and laceration of cerebellum. The lesion consists of traumatic separation of the cartilaginous joint between the squamous and lateral portion of the occipital bone.